Every two minutes, three children die of diarrheal disease. Most of those deaths could be prevented with clean water and sanitation. We know the solution, and it sounds simple – so why haven’t we achieved it yet? Water, it turns out, is a wicked problem. On April 10 at Drexel, representatives from the fields of public health, environmental engineering, water resource management and more will convene to tackle that problem head-on. The Philadelphia Global Water Initiative (PGWI) will hold its annual conference on campus that day, emphasizing solutions to water issues affecting urban areas in the developing world. Registration is still open at pgwi.org, at a cost of only $10 for students, $40 for attendees from NGOs, or $60 for all others. Registration is available at the door at Behrakis Grand Hall. I recently sat down with Shannon Márquez, PhD, who directs global public health initiatives in Drexel’s School of Public Health and serves on the Board of Directors of PGWI, to talk more about why water is such a challenge and what types of issues will be discussed at the conference—plus, how Drexel students and faculty can get involved in solving global water issues. Márquez, an environmental public health expert with a background in water engineering, has worked on water, sanitation and hygiene (WASH) issues in sub-Saharan Africa. Here is a selection of some of the important points from our conversation. The scale of the problem is huge. Diarrhea due to unsafe water and poor sanitation kills over 2 million people each year, and causes tremendous morbidity, Márquez said. Over 2 billion people lack access to improved sanitation facilities and the effects of open defecation are seriously detrimental to human health and water quality. Without safe removal of human waste, water resources become contaminated and diseases continue to spread. A recent NPR story about the persistence of cholera in Haiti highlights some of the problems with inadequate sanitation. It complicates every other public health issue when the water is unsafe. “We tend to overlook the complex challenges related to WASH when we talk about overall progress in global health,” said Márquez. “Think of the time and resources devoted to HIV/AIDS prevention and treatment in the developing world. Many people affected by HIV/AIDS in Sub-Saharan Africa and Southeast Asia, however, also face difficulties accessing safe water and sanitation. Having access to safe water, as well as antiretroviral therapy, is vital to improving their health status, preventing exposure to infection and supporting overall livelihoods”. Water and sanitation issues are tremendously complex. The problems of clean water, hygiene and sanitation are not just technical issues that can be fixed with mere technical solutions, such as building a well, installing a pump or adding sewers. Education, economics, health systems, policy and governance all play a role. 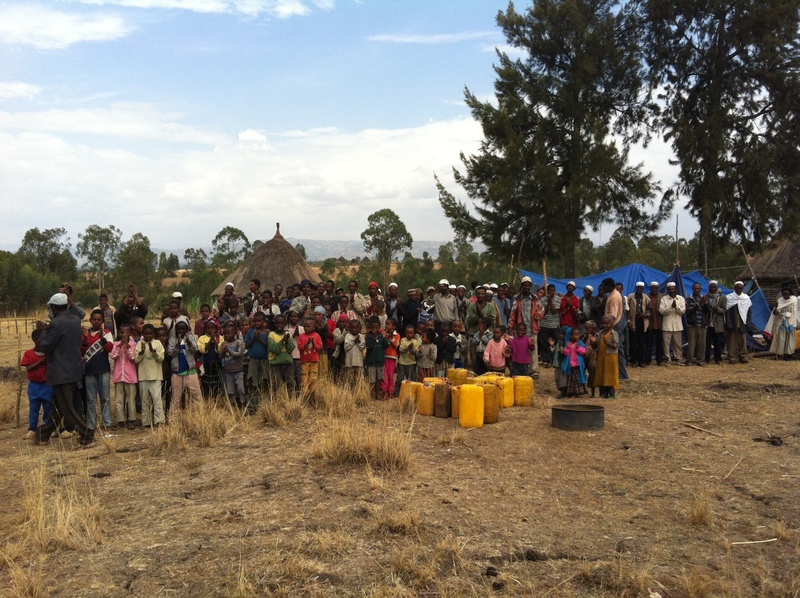 Community members take part in a well drilling project in Ethiopia. “Community knowledge is essential for implementing change,” Márquez said. And it’s commonly one of the most often overlooked. 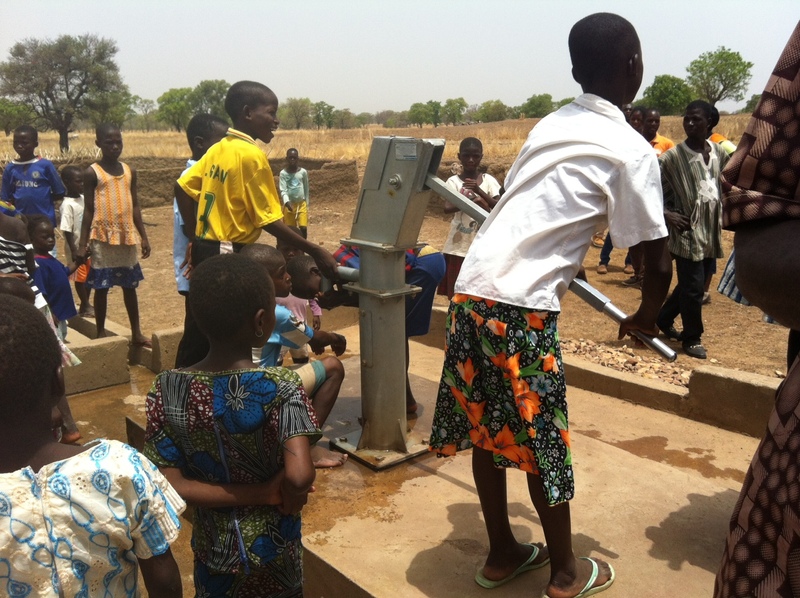 When you install a new well, is the location accessible for members of the community who use it? The complexity doesn’t end there. Education plays a role, too. Will future generations learn how to maintain the water infrastructure? Gender issues also matter. (More on that below.) Márquez noted that women typically use water resources the most, but in many cultures they have less authority and influence over how those resources are established and used. The local economy is key. Will there be a user fee or a tax to support maintaining the new pump? Projects without ongoing financial support are bound to break down in time. Governance is important to set priorities and plan for population growth and changes. Márquez noted that rural-to-urban migration is a major trend. Peri-urban settlements build up outside of cities because there isn’t enough space to support the population shift; and these settlements need improved water and sanitation. Governance is also essential for coordinating water resource planning, when there are competing needs for use. Healthy, functional water systems have ripple effects across many areas, not just health and environment. “Improving access to water improves whole communities,” Márquez said. 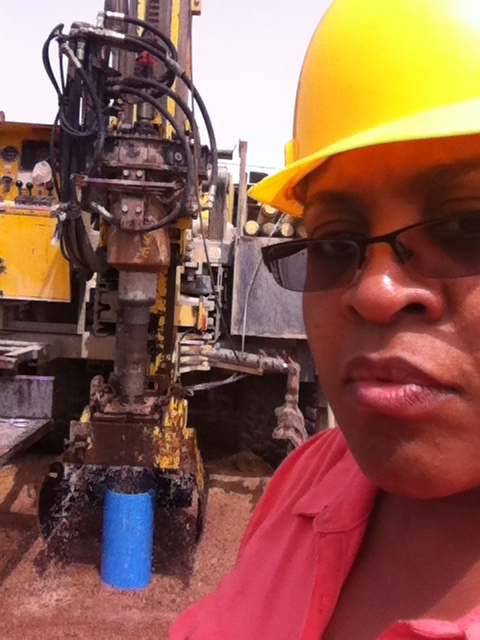 She cited an example of moving a water pump based on the needs of a local community. “If we can provide better access so women have to walk just a short distance to get water instead of two hours, there’s an economic impact to that,” she said. With more free time and improved water access, women can potentially start businesses and support economic development in their local communities. Water is an issue that disproportionately affects women. Especially in the developing world, women bear the brunt of problems with clean water and sanitation. The connections aren’t always obvious, but can still be profound. Hygienic menstrual management, for example, has a major impact on education. Márquez said that many schools in Sub-Saharan Africa lack water and sanitation facilities adequate for menstruating girls – so once girls reach puberty, many simply drop out of school. Urbanization is a new frontier with new challenges for safe water. “There are a lot of examples of successful models including market-driven approaches, sustainable solutions and community-driven initiatives in cities and rural areas,” Márquez said. “The field is still struggling with improving the situation in peri-urban settlements—that are characterized by high population densities, low incomes and unplanned low-cost housing–with respect to handling population growth and addressing water security” in these ad-hoc settlements on the outskirts of cities. As peri-urban communities grow, problems of inadequate or lack of water supply, sanitation, and solid waste disposal worsen. Getting people together to think about solutions to these ongoing challenges is part of the goal of this week’s PGWI conference focused on urban water solutions. Drexel faculty and students have a new way to get involved. Kechema Water Point Ethiopia with World Vision: Philanthropists and Drexel benefactors Dana and David Dornsife with Shannon Marquez of Drexel’s School of Public Health. Beyond the PGWI conference at Drexel this week, Drexel students and faculty have more opportunities to get involved in addressing global water issues in the coming year. A new Global Development Scholars Program is providing opportunities for gaining hands-on experience researching and supporting programs that affect water, sanitation and hygiene in Sub-Saharan Africa, in partnership with the nonprofit World Vision. The program was just launched with support from philanthropists Dana and David Dornsife, longtime supporters of both Drexel and World Vision. Márquez serves as the program director and has been working closely with World Vision and Drexel’s Office of International Programs to develop this new initiative. The new Global Development Scholars program leverages a partnership between Drexel and World Vision in 10 countries in eastern, western and southern Africa where World Vision and the Dornsifes have ongoing water, sanitation and hygiene (WASH) projects. In addition to WASH projects, the program will also provide Drexel students and faculty with the opportunity to work closely with World Vision on interventions addressing water-related diseases, malnutrition and their consequences, and programs promoting gender equity, maternal and child health and empowering women and girls. The Global Development Scholars program is open to undergraduate and graduate students from all majors and disciplines at Drexel, who may apply for opportunities for summer field practicums, international co-ops, research field experiences (such as a community-based master’s project for public health students), long-term dissertation field-work and more. Faculty will also be encouraged to serve as mentors and to help develop collaborative research projects, global classrooms and study abroad courses in Africa. Drexel students, faculty and staff interested in more information about the Global Development Scholars Program should contact Idris Robinson, Global Development Scholars Program Coordinator at idris@drexel.edu. To register for the conference at Drexel on April 10, visit pgwi.org or register on-site at Behrakis Grand Hall. In combination with the piece in the New York Times about DU beginning a study of better uses of the railroad years at 30th Street this wonderful account of DU’s effort to address a global health challenge makes me prouder than ever of my 37 years as a DU faculty member. Now, in my 10th year of retirement I enjoy calling the attention of my California neighbors to the exciting example DU sets of what a world-class university is all about. A dearth of clean water is, indeed, a problem that need not be. One simple step “everyone”–at least everyone with a smart phone–can take is to log on to: http://tap.unicefusa.org/ from a smart phone. By leaving the phone logon to this site and idle, for each 10-min the phone is not touched, funds sufficient to provide clean water to one person for one day is donated by corporate sponsors. For those with smart phone and sleep 6 – 8 hours a night, this is water for 36 to 48 individuals for a day…or one individual for a month-and-a-half…while you sleep.